Whether whisky or whiskey, and whether from Scotland, Ireland or the United States, not to mention Canada and Japan, or, indeed, Wales and England, the market for this scintillating,brown-hued spirit – aptly called the ‘’water of life’ (the English name being a corruption of the original Gaelicuisce or uisge)– it’s a category that’s very definitely following the same trend as other alcoholic drinks, driven by an interest in craft, production methods, heritage and provenance, with consumers drinking less, but better quality. It’s also about just how diverse and esoteric whiskies/whiskeys can be. Whilst the 19th Century saw nearly 90 whiskey distilleries in Ireland, Prohibition and World Wars had reduced this number to just 2 by the 1980s. Yet this had doubled by the turn of the century, and by 2017 had more than quadrupled to 18, with almost as many again scheduled to come on-stream. The sales figures tell the story: the Irish Whiskey Association,having set a target to double global sales from 6 million to 12 million 9-liter cases a year by 2020, and to double them again by 2030, sales had already reached nearly 10 million cases a year by the beginning of 2018. The downside to this: some producers are now predicting a shortage in aged Irish whiskeys, as has already been the case with some Japanese producers, not to say other spirits categories, such as cognac. The current – and continuing – growth is all part of a major shift away from low-priced, high-volume consumption, with consumers increasingly willing to pay for quality premium products and to maximize their experience. It’s about re-establishing Ireland’s reputation for fine whiskey production and that rich experience that comes from innovative distillers, with consumers looking for exciting new tastes that can be found with new organic, biodynamic, terroir-focused, exotic-mash-bill, personalized-yeast-colony, and pot still whiskeys; also whiskeys that have undergone a range of secondary finishes using Irish, American or Eastern European oak, first-fill Bourbon barrels, sherry, port and rum casks, even barrels that have been peat-charred to add a peaty note. 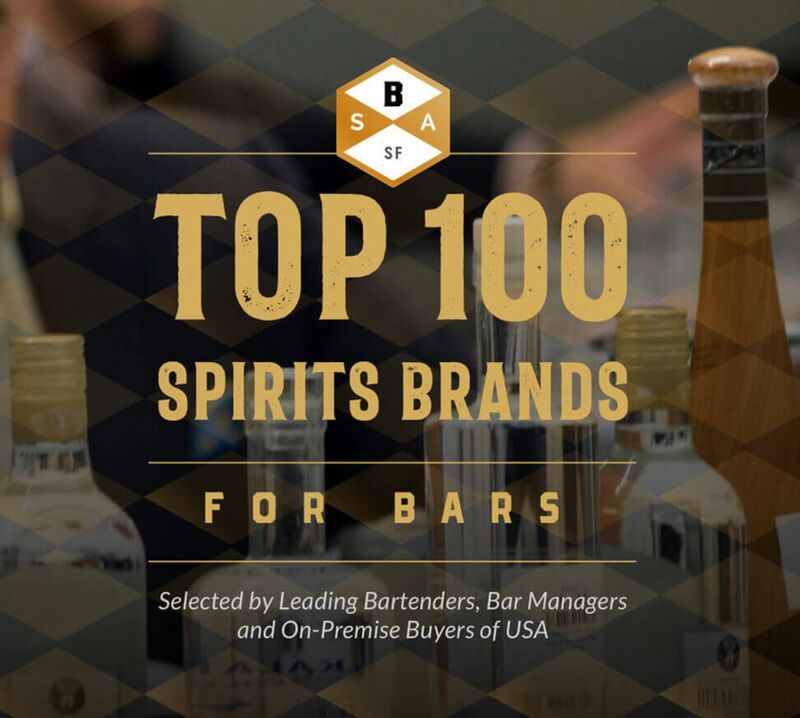 Whatever the spirit, it’s craft products that are the sales driver in the U.S., too, significantly outperforming the overall industry by both volume and value growth, growing very nearly 10 times faster than the overall spirits sector – and forecast to continue at this level through to 2022 (22% against 2.1% CAGR). The figures show U.S. craft whiskey to be even more impressive than the average, growing by 28.1% to the end of 2107 to reach 26m 9-liter cases and forecast to grow at 24.3% CAGR by 2022, with Bourbon dominating the US craft whiskey category with a 46.4% volume share. This fact is clearly shown in so-called ‘value’ spirits that have fallen over the last 10 years or so from some 40% of overall U.S. spirits revenue to closer to 30%(at the same time, spirits priced at $20 and above have grown from around 25% in overall spirits revenue share to just shy of 33%). This is a reflection of the same consumer interest in premiumization, but also the same consumer interest in new taste experiences which distillers are able to satisfy thanks to somewhat looser regulations that allow whiskey producers considerable latitude with secondary finishes, much like Irish whiskey. This chimes well with the majority of consumers looking for unique, innovative and exciting products and who are willing to experiment. Today, it’s possible to find whiskeys that have been aged in port, or rum, or sherry, and even orange curaçao barrels – and speed-aged by being matured in the hold of ships, so increasing the amount of liquid in contact with the barrel. The category accounts for around 20% of UK on-trade spirits sales, but Scotch is not showing anywhere near the same growth levels as those enjoyed by whiskeys, with sales of Scotch whisky overall up just 1%, but volume down by over 3%. Once again it’s premium whiskies – not necessarily only malts, but also non-aged variants – that’s holding up the sector, reflecting the trend for drinking less, but better. Yet, it’s interesting to note that, whilst the growth of Scotch is 10 times lower than Irish whiskey, it sells 10 times as many bottles (1.2 billion bottles, against 120 million, from around a hundred more unique distilleries) so remains a real force in the market. Much like, say, the finest French cognacs, or wines from the great châteaux around Saint-Émilion, as long as consumers are happy to pay the price commanded by a spirit that offers indulgence and authenticity (plus heritage and tradition – and ultimate craft) the demand for Scotch whisky will remain. The issue for these whiskies are the limitations put on its production under UK law, particularly with regard to secondary finishes where the Scotch Whisky Association is the ultimate arbiter, not the distiller – or the consumer. The world of whisky is huge, with each category – Scotch, bourbon, rye, blends, single malts – providing enough to satisfy any taste. Whilst both whisky and whiskey have similar origins, and certain similarities in production, the spectrum of flavors in probably unrivaled by any other spirit. The flavor differences between the innately sweeter and more full-bodied taste of bourbon and the spicier and drier taste of rye boil down (pretty well literally) to their main ingredients, as well as their aging characteristics. The use of malted and un-malted barley in making Irish whiskey against the use only of malted barley in the making of Scotch, not to say the water, as well as the use of different distilling methods and the skills of individual distillers produce very different, albeit characteristic, results that consumers continue to look for. Whether Irish, American or Scotch, these are all spirits that can satisfy the increasing number of drinkers who prefer a more premium product. From an on-trade perspective, because of the broad consumer interest in type, quality, and flavour, it makes business sense to carry a range that highlights the versatility of the spirit and optimizes the sales opportunities – and not only in it’s own right, but as a favourite cocktail ingredient (with a preponderance of American and Irish whiskeys being used). Indeed, one recent global pole had whiskey in two of the ‘top 3’ cocktails, whilst featuring heavily in world-class bartender competitions. It’s a category that’s not only bang on trend, but pretty well provides something for everyone, so what’s not to like from a business perspective?